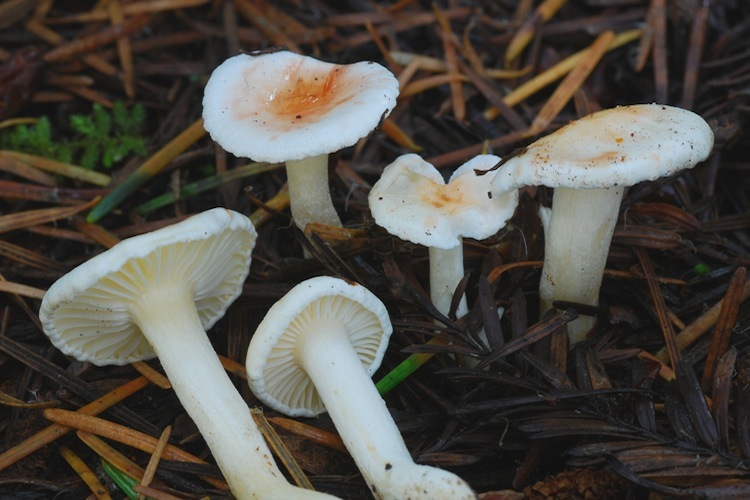 Hygrophorus are the duller, larger cousins of the more brightly colored waxy caps (Hygrocybe etc.). 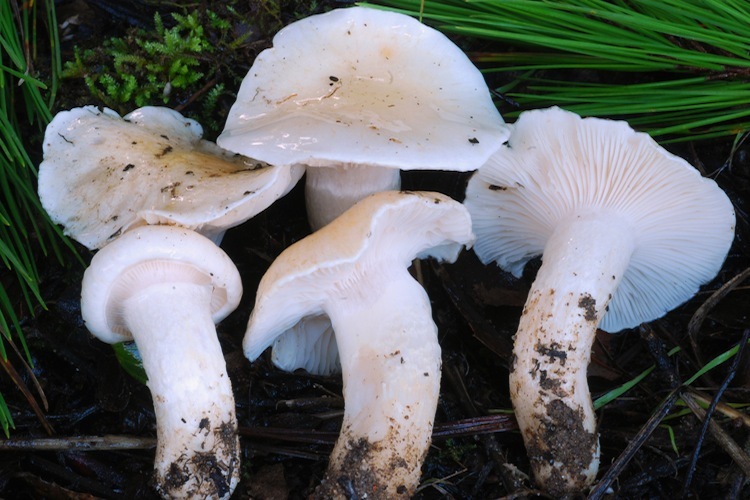 Although separating them from Tricholoma and other fleshy white-spored genera can be can be subtle, a distinctive gestalt emerges. 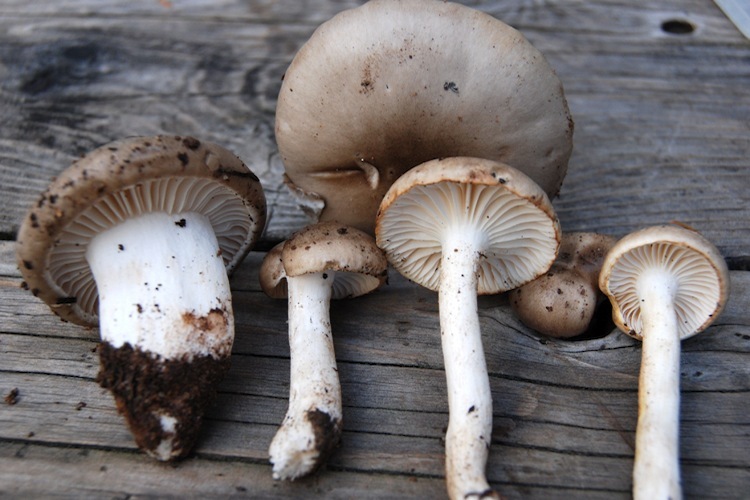 The thick, waxy, more or less widely-spaced gills, broadly attached (but not usually strongly notched/sinuate) gills, and growth with ectomycorrhizal trees are helpful general features of the genus. 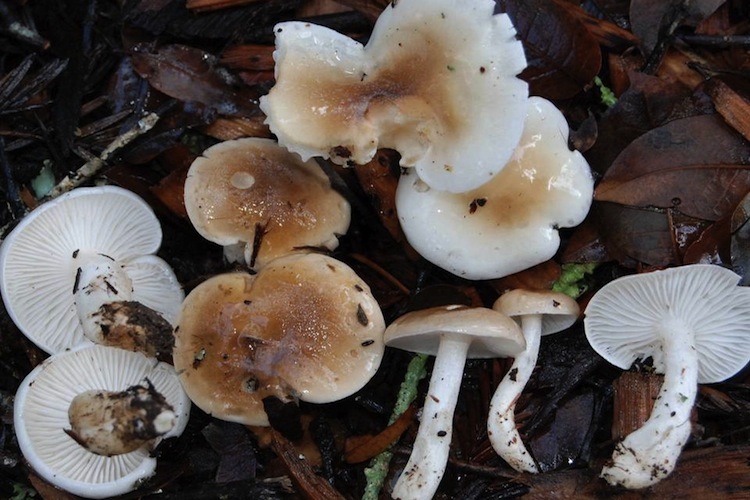 In other respects Hygrophorus are variable - some have fibrillose partial veils (usually appearing as an evanescent cortina or leaving a ring zone, but never a membranous ring), some are dry-capped while others are viscid, some are dull while others are quite brightly pigmented. 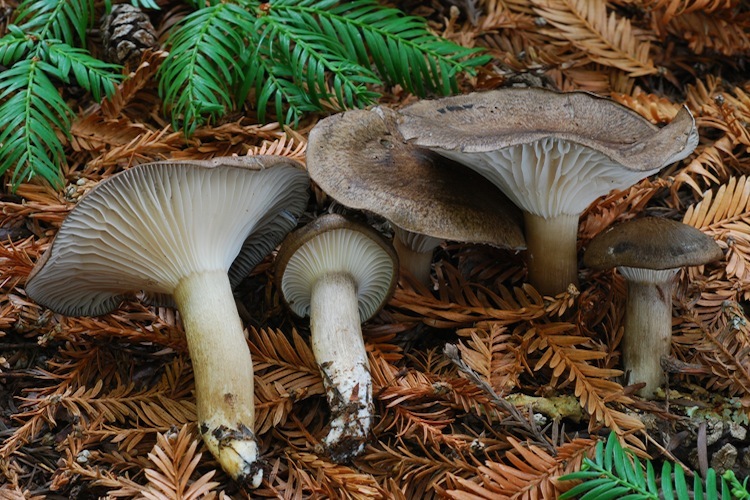 All are ectomycorrhizal, occurring with conifers and hardwoods, primarily in forest settings. 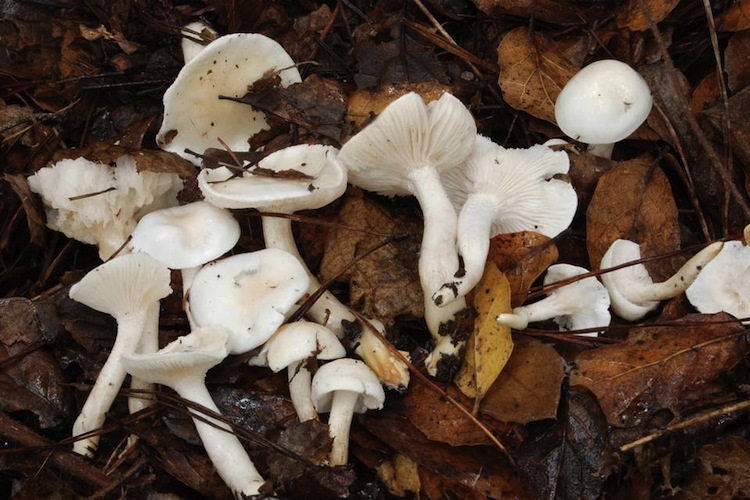 A few species are known to be edible (and none are thought to be seriously toxic), but none are particularly popular in our area. Most diverse in the conifer-dominated bioregion to the north, but a fair assortment occurs in our county (including some fairly restricted Live-oak species). Important identification characters are: coloration, texture of the cap and stipe surface, host tree, odor, and KOH reactions.